The girl was found early Wednesday morning near Rio Grande Blvd. and Harvey Mitchell Parkway. 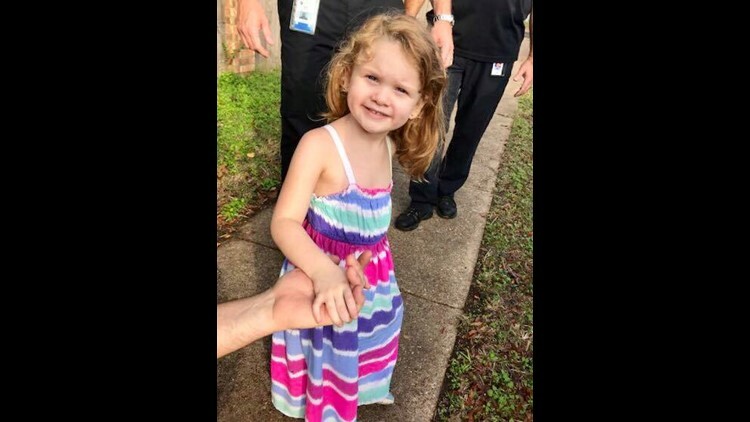 UPDATE: A parent of the 4-year-old found walking in College Station Wednesday morning has been located, thanks to tips from the public. College Station Police are still investigating this case. COLLEGE STATION, Texas -- Police are looking for the parents of a 4-year-old girl found early Wednesday morning. In a post on the Department's Facebook page, police say the girl was found around 7:56 a.m. near Rio Grande Boulevard and Harvey Mitchell Parkway. According to the post, the girl's name sounds like "Zianna". If you know who she is, or where her parents may be, you're asked to call (979) 764-3600.